Overlake Hospital Cancer Center Auxiliary holds an annual event entitled “Perfect Settings with Perfect Pairings” every fall to raise funds to support the Overlake Hospital Cancer Center. Unique table settings are created by designers, artists, and merchants and voted on by the patrons. 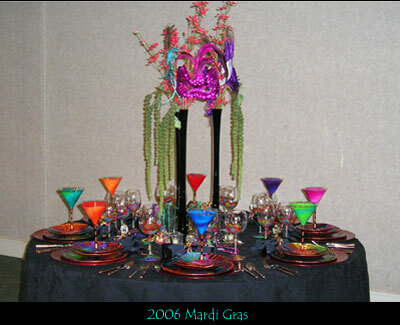 I have participated in this event in 2006, 2007 and 2009, and was voted “favorite table” in 2006. I collaborate with Sharalyn Ferrel, a close friend who provides inspiration and center piece decorations.